Aphids are incredible creatures. They can give birth a number of ways depending on what is happening with their food source. Here is a quick breakdown. Of course there are many, many species and this reproductive cycle is not universal. For overwintering purposes, eggs are the preferred method of giving birth. Then, in Spring when food is plentiful, females simply pop out a live clone ready to add to the destruction of your favorite plants. As a food source is becoming used up, the adult females switch to creating babies with wings ensuring the next generations are able to spread out and find additional food. Come Fall, both male and female babies are born. This is useful for actual sexual reproduction, and the subsequent egg production enables survival of Winter so the cycle can begin again. 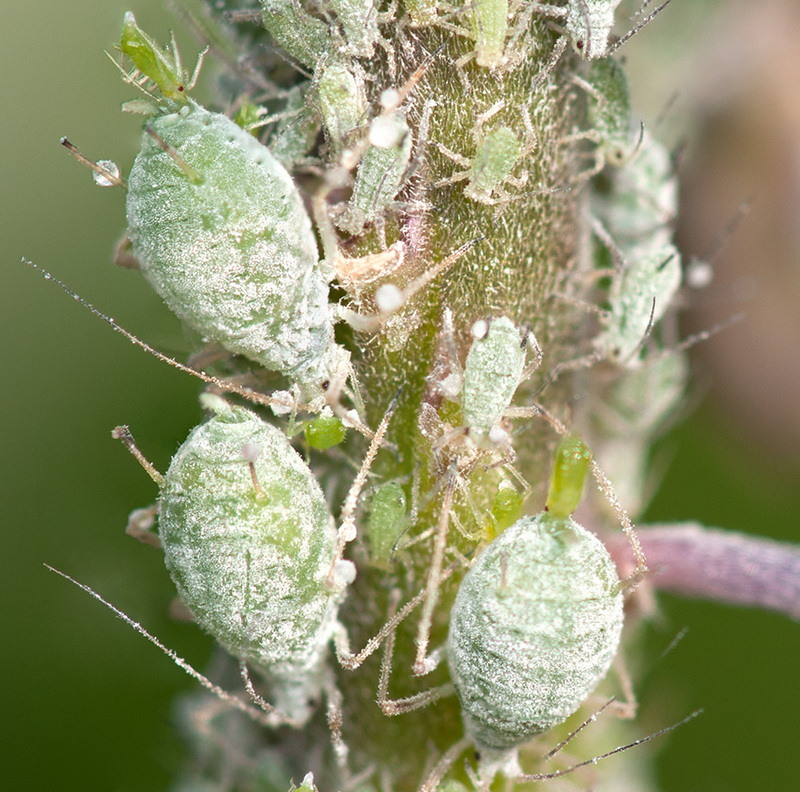 Thankfully, we have a number of aphid eating beneficial insects ready to take on this aphid horde.